Vertex Motion Pictures, T-Series Super Cassettes Industries Ltd. The movie is about a man who does not have much money. He wishes to live in a royal way like a Baadshah. It's a romantic action-filled journey of this man. 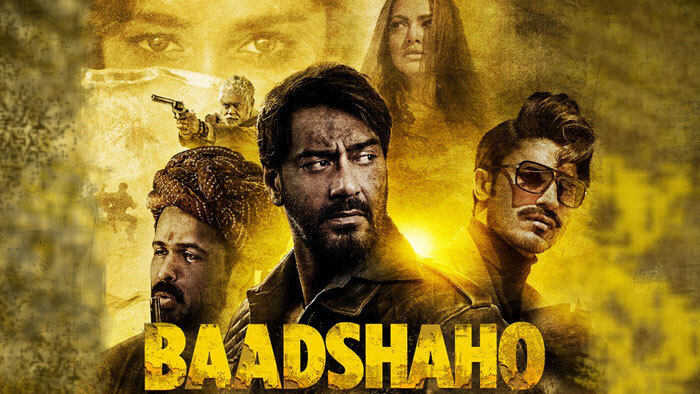 Baadshaho is about a gold heist during the times of emergency in the country in 1975. Positive Points: Direction, Performances, and screenplay are the highlights of the film. Ajay Devgn is perfectly cast in his role of Bhawani Singh. Negative Points: The second half of the film is a bit stretched, which could have been trimmed in better. The climax could have been more real. The trailer of ‘Raid’ is here and Ajay Devgn looks the perfect Income Tax Commissioner!